The SL has a highly innovative patented modular based design. This new versatile concept is based upon a common platform for diesel, LPG and electric versions whereby only the power module changes. 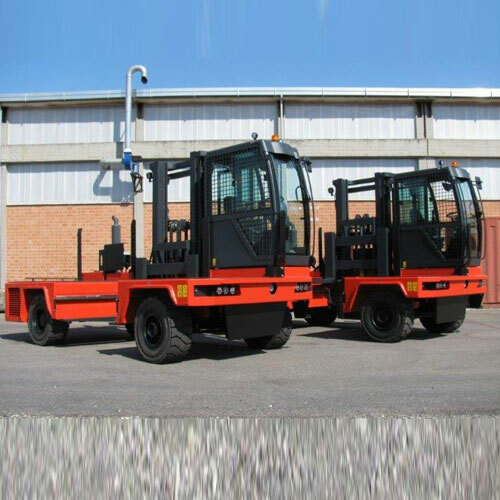 On the same platform and electronic system by adopting a variety of building blocks (base frame, power module, front axle module, rear axle module, counterweight module, mast and cabin) it is possible to meet any customer requirement in terms of diesel/lpg/electric drive, engine/motor power, lifting capacity, speed and acceleration, braking power, ground clearance, ramping capability, hydraulic movements settings and full set of special attachments for any application.